President Buhari calls for repatriation of stolen assets without legal obstacles – Royal Times of Nigeria. 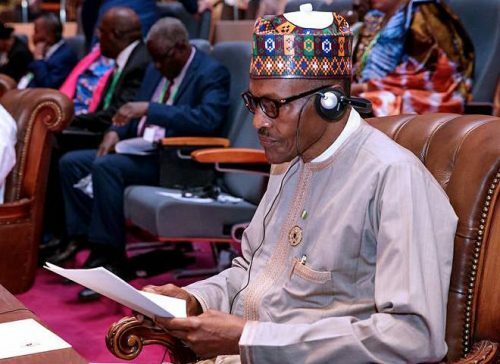 President Muhammadu Buhari has called on nations where looted assets have been stashed to release them without the usual long technicalities involved in the process of repatriation . He said this while speaking on Sunday in Nouakchott, Mauritania, during his introductory remarks as the leader of the African Union, shortly before the commencement of the debate on the African Anti-Corruption Year. President Buhari also appraised the anti-corruption efforts noting that workshops were organised in different regions to create awareness on the war against corruption. He also informed the gathering of his intention to partner with the AU Chairperson to further push the frontiers of the anti-corruption battle. President Buhari used the opportunity of the gathering to call on all other Member States that are yet to ratify the African Union Convention on Preventing and Combatting Corruption to take all necessary measures to sign and ratify it with a view to achieving its universal ratification this year.